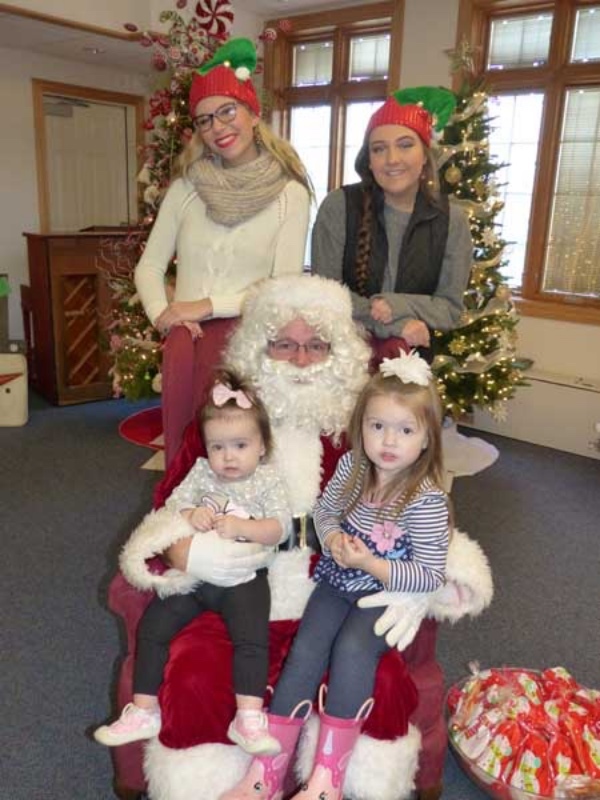 ADA — Opening day of Ada’s 2018 Festival of Trees was attended by none other than VIP Santa Claus. The jolly old elf arrived at 3 p.m. and entertained children of all ages into the early evening. As in years past, the Festival of Trees features friendly competition between area schools. The public is invited and encouraged to view trees decorated by Ada, Allen East, Upper Scioto Valley and Hardin Northern, then vote on their favorites. Trees and other auction items are also available for sale through a silent acution, with the bidding process closing at 6 p.m. Trees can then be picked up between 6 and 8 p.m.
Upcoming special events at the Festival, hosted by and held at Community Health Professionals, 1200 South Main Street, include a Make Take It Christmas Crafts project on Thursday during regular Festival hours, 9 a.m. to 7 p.m.